As you may have seen on my facebook or twitter pages, I am changing the name of the blog. VineVie originally started as a wine blog. I wanted the name to be Vin Vie (without the E) but that name was already taken so I settled on VineVie instead. Over the past few years that I have had this blog the website has taken more of a turn towards food and not just wine anymore. Since I was never really crazy about the name VineVie I have come up with a name much better suited for my blog and what it represents and is going for. The new name for this blog is going to be Betty Dish, which I am much happier with! The name Betty represents my two favourite old school classic Betty’s who I feel represent the blog perfectly. 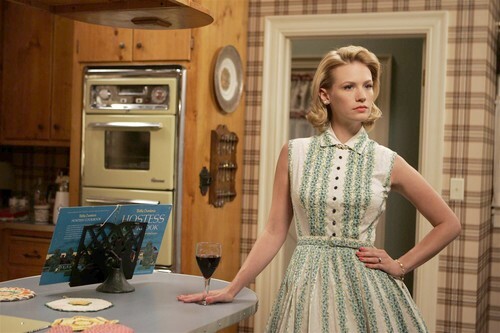 Betty Draper from the show Mad Men, she plays the part of a perfect retro blonde chick and I absolute love the character. Betty Cooper from the Archie comics, she is the classic blonde Betty and she’s always been my favourite! So voila’ there you have it. The new name explained and I am stickin’ to it! I’m really happy with the name and I hope you can all bare with me as I go through the process of doing some major changes on the blog. I am working on upgrading the site and I will eventually be changing the site address as well. It’s going to be the same website and content just with a different (better) name. Have You Heard About Matcha?! 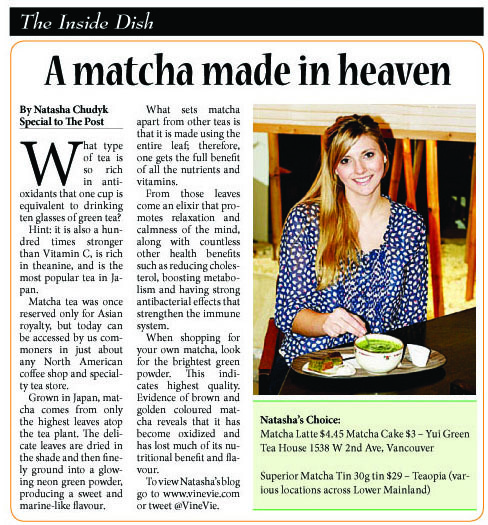 Have you heard about matcha? Want to find out more about this healthy neon green tea? Read my latest article out now in the Asian Pacific Post. These cards are available at Theo’s Restaurant in Penticton and 10,000 Villages. Go pick yours up today and spread a little good karma around the globe! 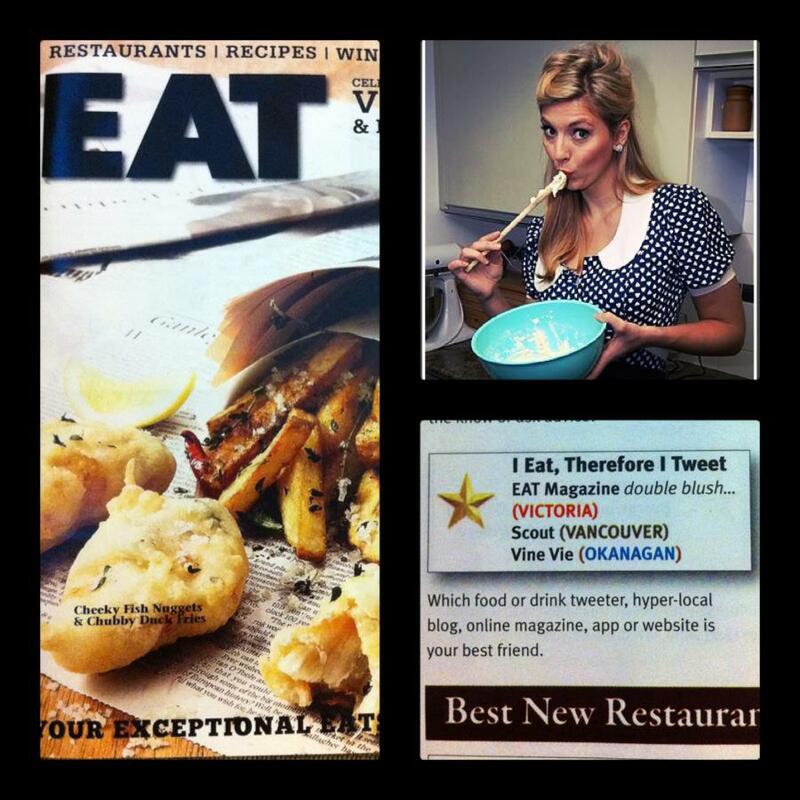 Eat Magazine’s 2012 Exceptional Eats Results…. A little while ago I posted about Eat Magazine’s Reader’s Choice Awards. The awards are separated to three categories; Vancouver, Victoria Island and the Okanagan. There were many awards given out, such as best place for lunch, best bartender, best restaurant, best food truck etc. There was even a category for best local food blogger and tweeter and guess what….. VineVie.com won for best in the Okanagan! I can’t believe it! 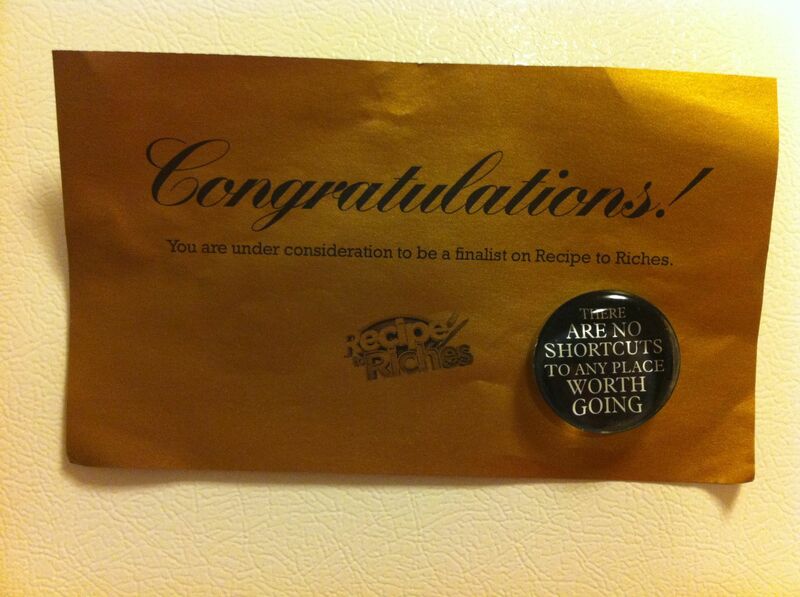 My little food blog actually won a top award! Thank you so much to everyone who reads my blog! I love sharing my passion for food and writing and it’s such an honour to be recognized for that, it’s craziness really! A massive thank you to everyone that took the time to vote! Here’s the link to see other awards winners throughout BC. Congratulations to all the winners and the runners up and don’t forget to check out the list of all the winners. I think I’ll celebrate tonight with a little glass of Okanagan wine. Cheers! 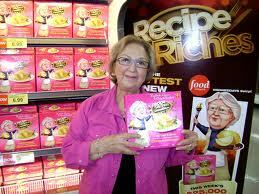 Basically it is a television show that searches across Canada for the best recipe from a home chef. There are several different categories, including savoury snacks, condiments, entrée’s, cookies and squares etc. 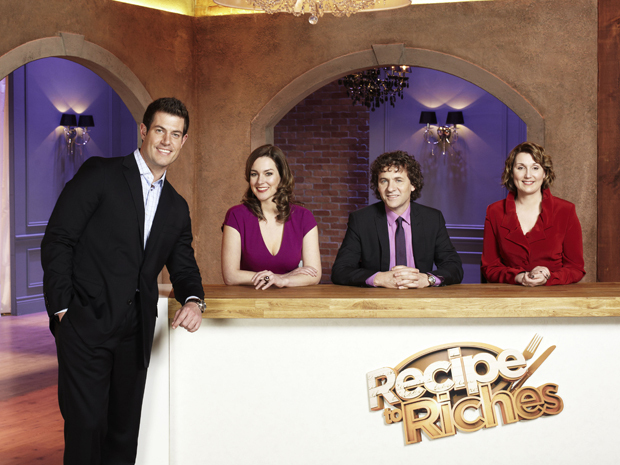 Each week on TV it is rounded down to the top 3 contestants from each category across Canada and they compete against each other to win in their category. 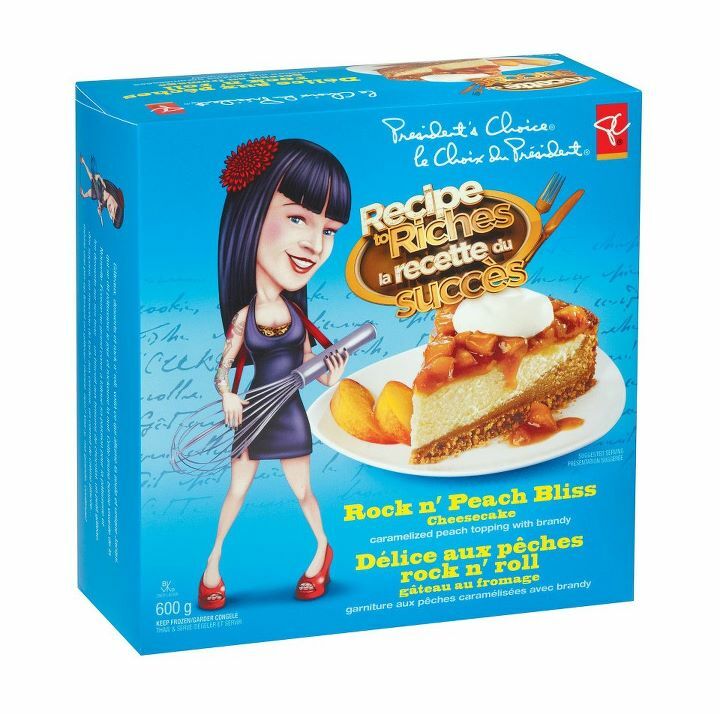 The winner receives a $25,000 prize as well as their product will be sold in Superstore under the President’s Choice brand, with their story and image as the packaging. 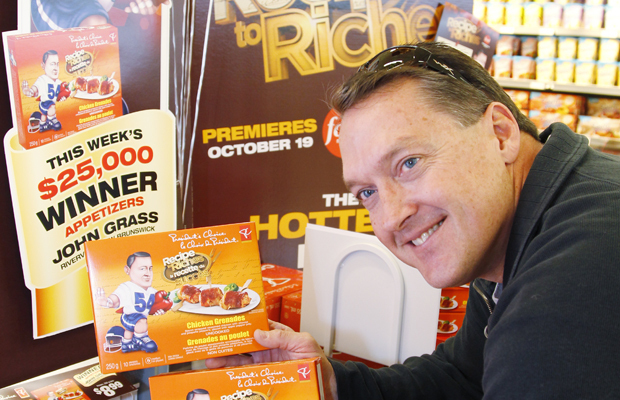 At the shows finale a the winner for each category will be put up for voting and Canada votes and decides who will be crowned the winning recipe and that will be take home another prize of $250,000! Here’s an example of a few of last seasons winning products. I’m a big fan of Superstore and always love trying their new products so this show caught my eye. When I saw that this season they were holding auditions in Vancouver I knew I had to try. I love food and I love cooking so I figured why not? I sent it my homemade silly audition tape…….. 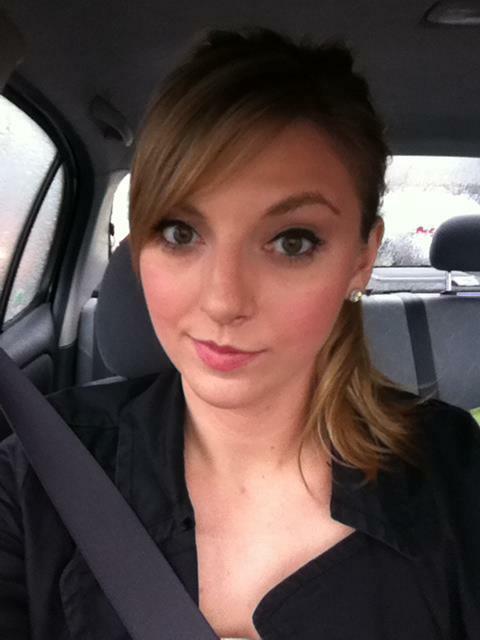 Totally silly, I can’t even believe I just posted that on here for people to see… haha- oh well! Anyways, I got a call from a producer who did an interview with me and said they would be in touch if I was selected to come down for the in person audition in front of the judges. I waited and waited and finally got the call! I was nervous and excited and I had so much to prepare. I stayed up past midnight the night before the auditions preparing my food. Matt was the best kitchen assistant a girl could ask for! Morning came and it was audition day. 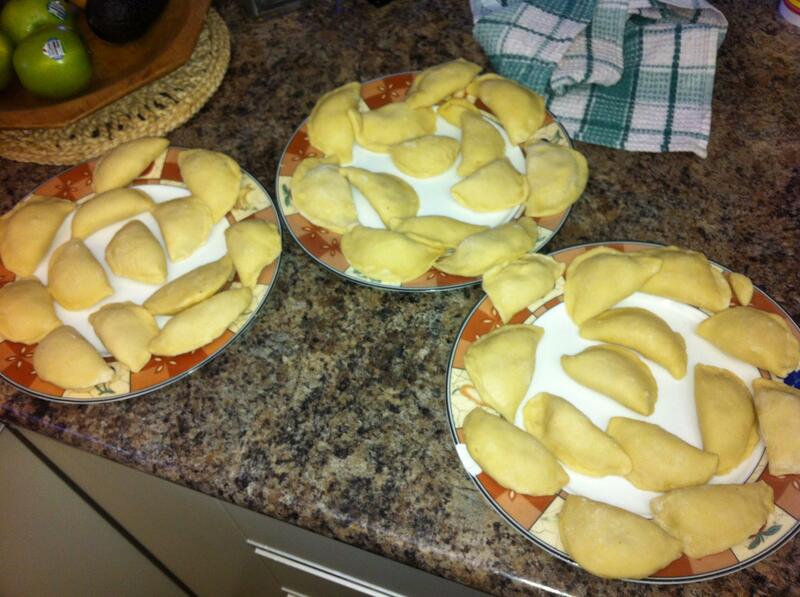 I woke up early and boiled and fried the perogies to get them the perfect golden brown colour. I got myself all dolled up and Matt chauffeured me to the Regency Hyatt Hotel downtown where the auditions were being held. Driving to the audition wondering what did I get myself into here..?!? 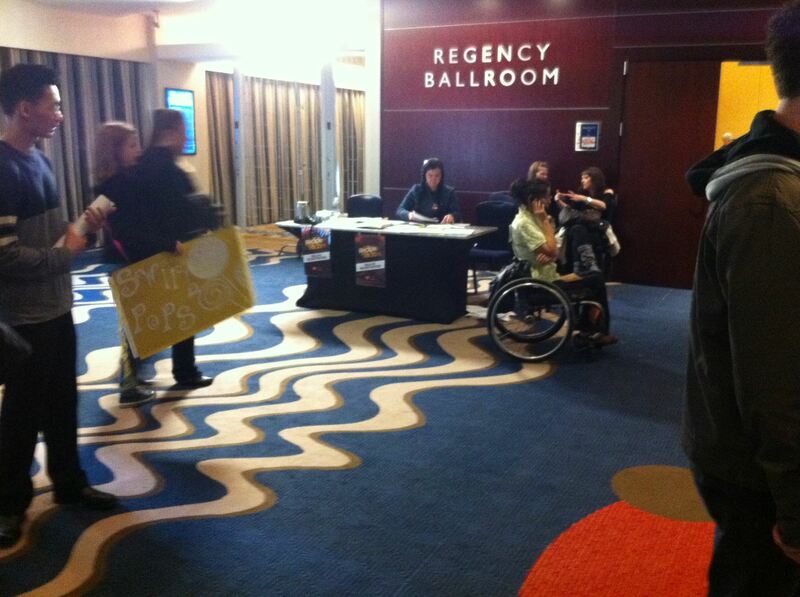 When we arrived at the hotel I signed in at registration and got my number. There were a lot of people there and camera crews all around filming people’s reactions after they got a golden ticket or if they didn’t. 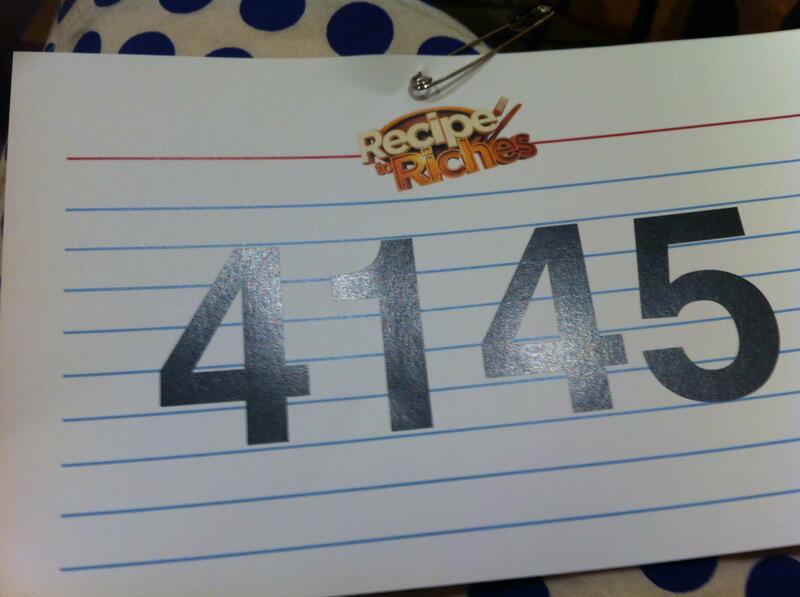 We waited in a room with other contestants until our number was called. There were really helpful kitchen staff that let me practice my audition speech in front of them. Waiting in the holding room pre-audition for a few hours gave me plenty of time to practice. Finally after a few hours of waiting my number was called. I went with a group of other contestants into another room to plate our food. There were more chef’s to help us out in that room. I got my microphones taped onto me and filmed a pre-judging interview about my food. Once I had plated my perogies with a side of sour cream and chopped green onions and was whisked down a hallway to the judges room. 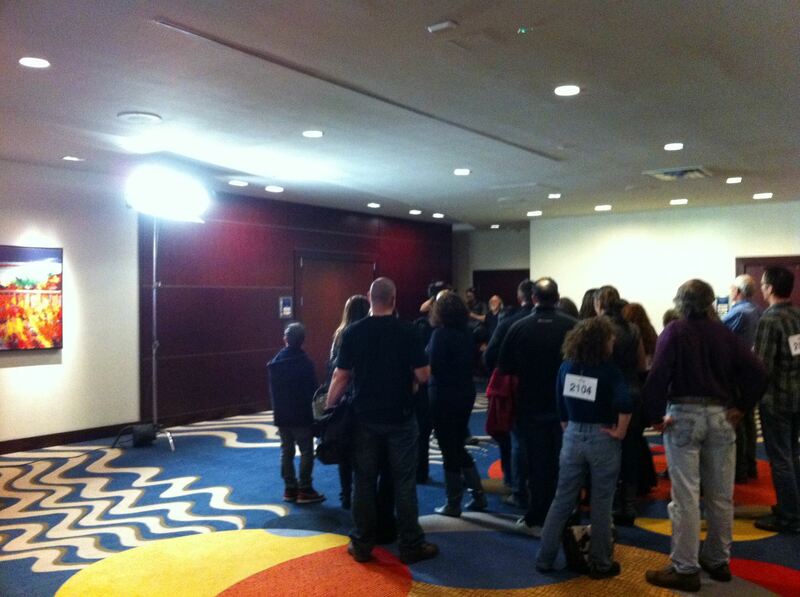 I waited anxiously outside the room watching as the contestants in front of me went in for their auditions. Finally it was my turn. I entered a room where I met with a producer who told me where to stand etc, got my makeup touched up and voila… I was on! Just me with all the lights shining on me and 3 judges sitting at a table staring at me with my food. It felt like a dream but it was so fun. The judges by the way are Laura Calder,( host of French Cooking at Home), Tony Chapman (marketing guru) and Dana McCauley (food trends and innovation expert). Here’s a photo of the judges at last year’s judging table. It was a pretty intense experience but I am so happy that I did it. It was such a fun day and pushed me out of my comfort zone which is a good thing. I believe that we should take every opportunity that presents its self and for me this was one of them. The judges seemed to enjoy my gourmet perogies, Tony was the tough judge and asked me some questions about marketing that really put me on the spot but they were all super nice. It really was such a fun experience and I would do it again in a heart beat. I told myself that no matter if I walked out of that room with a golden ticket or not the real prize was just being there and enjoying the experience and having the guts to get infront of the judges and the camera’s and do something like this. I still feel that way. 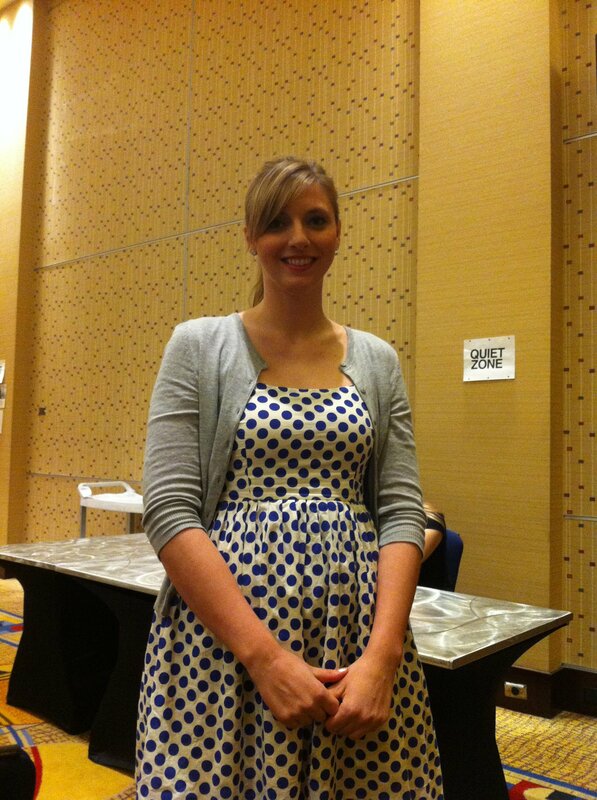 Everyone I met was so kind, all the other contestants in Vancouver and all the staff were so kind and helpful. 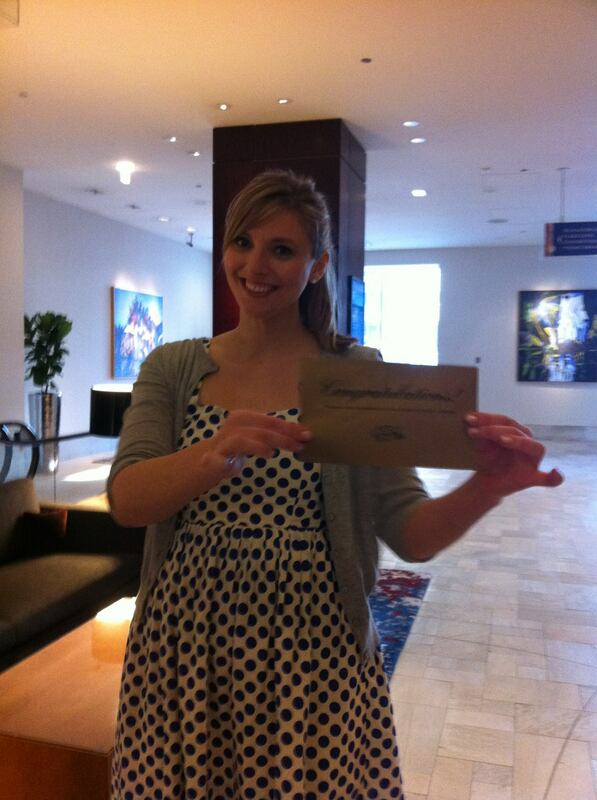 So now, what you are all probably wondering… did she get a golden ticket to go onto the next round…..?!?!? What do you think???????? What that means is that I’m in the next round and I am up for consideration. Now I just wait until all the other auditions across Canada are finished and hope that they choose me as a finalist to compete in Toronto. If they do that would be amazing and if they don’t it still has been such a fun experience. The competition is across Canada so I’m certain the chances of me actually getting called to be a finalist are slim. For now I wait with this golden ticket posted to my fridge with a magnet that says ‘There are no shortcuts to any place worth going’. I wasn`t selected as a top 3 finalist to compete in Toronto. However, I am really looking forward to the show coming out and seeing who made the cut and hoping to see some of the friends I made during casting compete on the show. 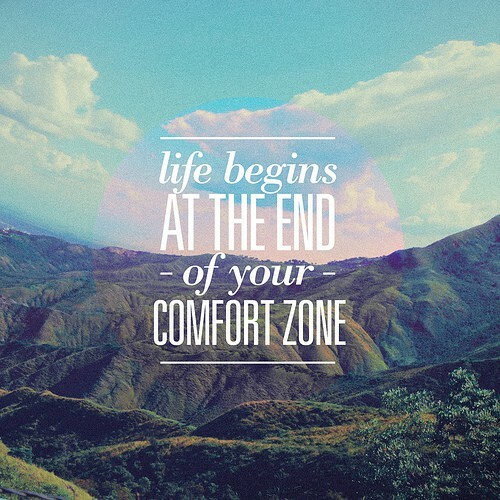 It was a really fun experience and I may even audition again next year because…. Hello everyone, I hope that your sweethearts spoiled you this Valentine’s Day! Did you stay home and make dinner or go out somewhere romantic? I stayed in and shared homemade pizzas and Okanagan wine with my Valentine. We stopped at retro themed doughnut shop Krispy Kreme in Delta a couple of days before V-Day and I was so excited (it’s the small things) to be there when they were actually making the doughnuts. Plus I also liked all their cute Valentine’s Day themed decorations. 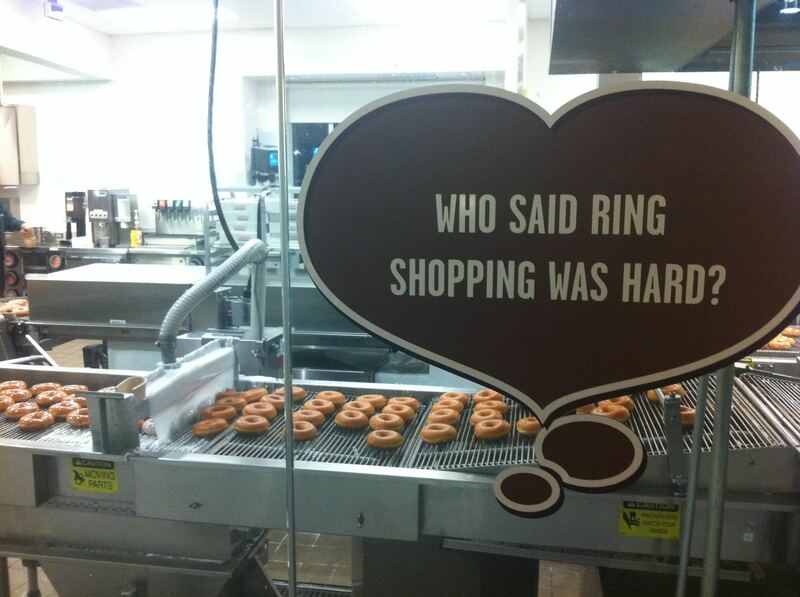 Did you know that you can get a 50% off a box of a dozen doughnuts after 9pm? Now that is a deal! 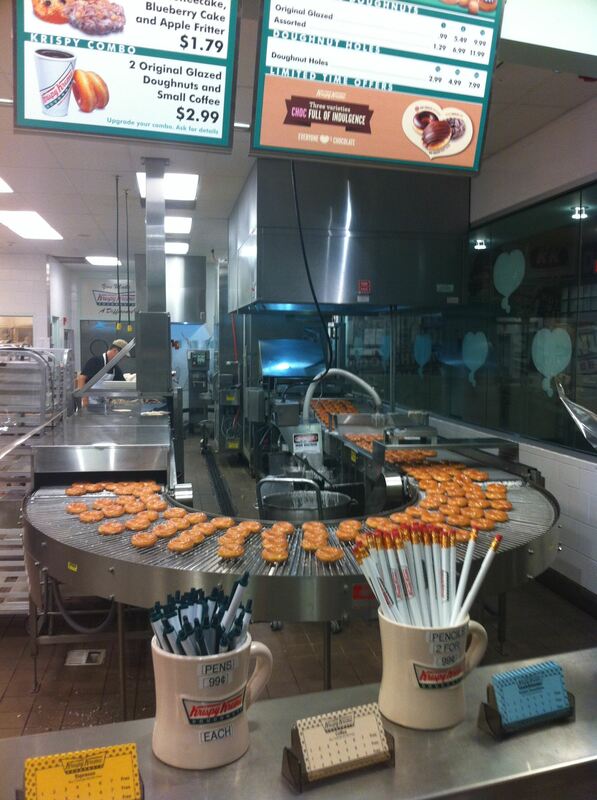 Doughnut party anyone? Haha! Check out my pics below. Check out that icing waterfall! The little doughnut factory . I also wanted to share with you my latest article that has been published in the Asia Pacific Post as well as the Filipino Pacific Post newspapers. It’s an article about Vietnamese noodle soup a.k.a. pho. Check it out here at www.asianpacificpost.com and let me know if you have any other delicious ethnic food ideas or restaurants for me to try! Who doesn’t love to celebrate love? It’s a wonderful thing! 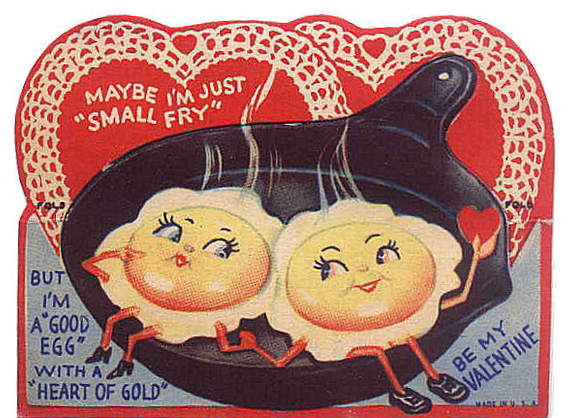 With Valentine’s Day a week away I’m sure many of you have already begun at least thinking about your plans for V-Day. Are you planning on going out for dinner, or staying home for a romantic home cooked dinner? Many local restaurants are extending their Dine-Out menu‘s until the 14th so lover’s can enjoy a 3 course dinner for less. As always Boston Pizza across Canada offer a heart-shaped pizza for Valentine’s Day with $1 of every pizza going towards charity. For those planning to stay home I have a little recipe for a pasta dish to share with you that’s quite simple and so flavourful. 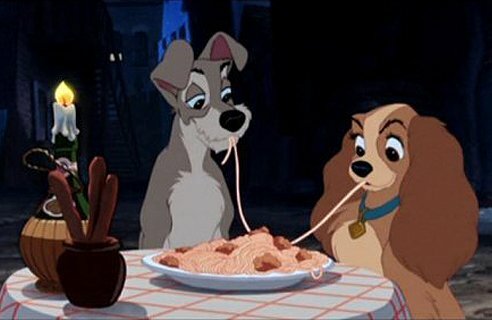 Maybe you can even slurp together your pasta a’la Lady & the Tramp. This is a recipe that I was first introduced to by my boyfriends Grandmother. We beg her to make it for us every time we go to her house. I’ve changed the recipe a bit to make it my own. 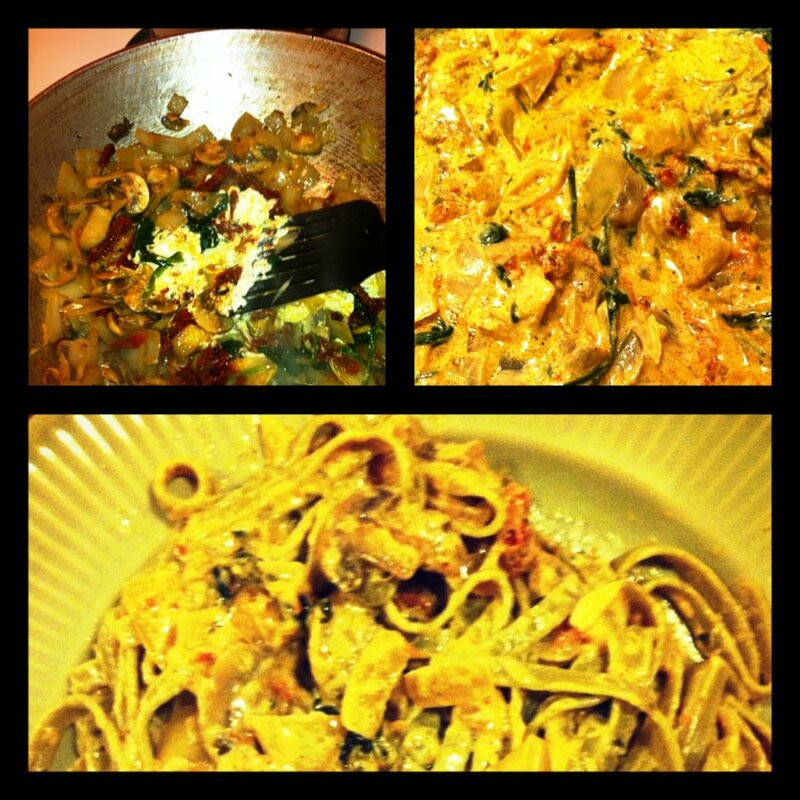 I promise you this pasta dinner recipe will knock your Valentine’s socks off! In large wok fry onions, mushroom,garlic and spinach with a touch of olive oil or butter. When browned slowly add cream cheese, working it in as it melts. Add sun-dried tomatoes. Slowly add in milk to make the sauce less thick. Add salt and pepper to taste. Simmer and stir for 5-10 minutes. Add to pasta and mix together. Et Voila! I have tried every single time I’ve made this dish to take a good photo of what the sauce looks like and I can never do it justice. Just trust me when I say that this is the best pasta EVER! 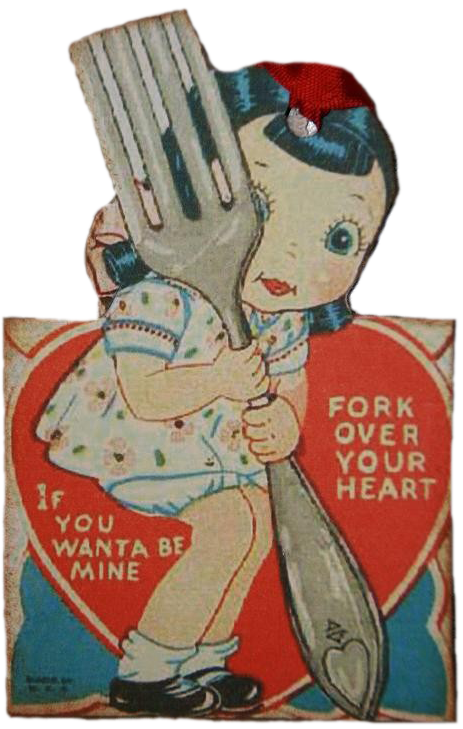 Hope your Valentine’s Day is full of love and good food! Hello everyone! 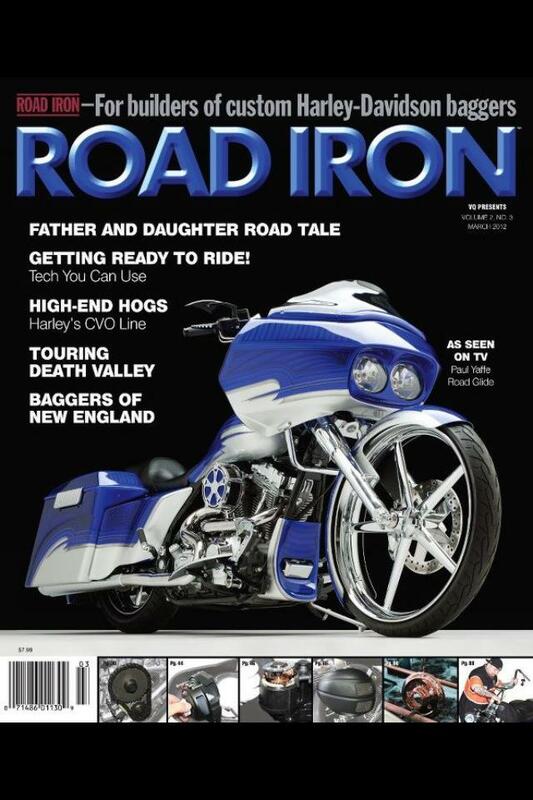 I’m excited to share with you the sneak preview of the March cover of Road Iron magazine. It will be on newsstands February 7th. My story about a motorcycle road trip that I did with my father this summer is a feature article. Besides our incredible adventure this summer there’s also some tips in the story about some unique diners in Washington state and where I found the best strawberry jam this side of the Mississippi! Road Iron is available across the U.S.A and Canada. Me and my pops on our Harley trip this summer. 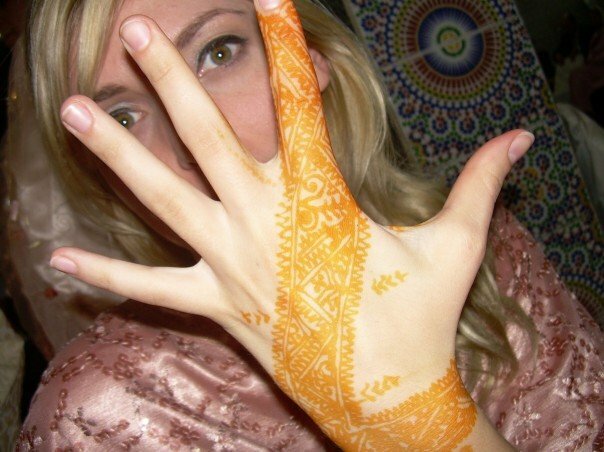 For anyone that knows me well, they know that I miss Morocco. For anyone that doesn’t know me quite as well let me explain. 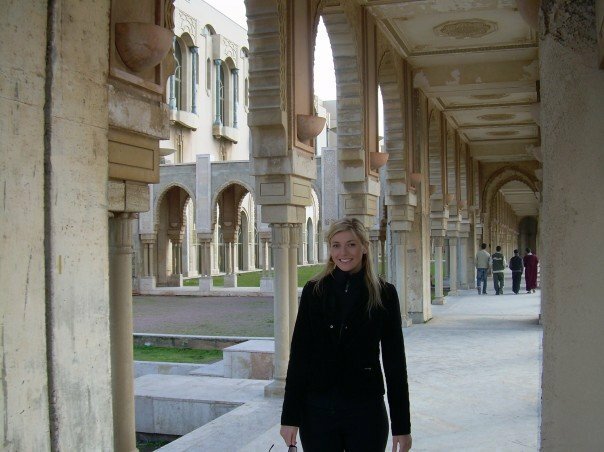 I spent a year in 2007 living in Casablanca after I graduated college and did my practicum at a Chinese Medicine clinic in the city. I also was there doing a bit of modeling/movie stuff. It was an incredible experience to say the least. 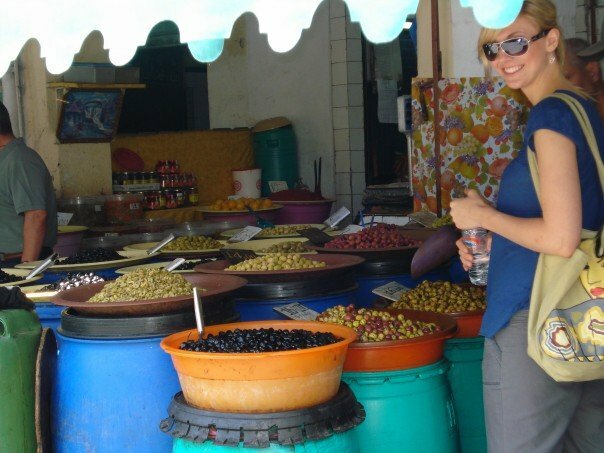 There’s so much I could write about my time in Morocco but today I’m going to tell you about the food. When I first arrived in Casablanca I was honestly scared, the food scared me as strange as that may seem. After living off of pizza and Tim Horton’s during my time at college the smells and appearance of Moroccan food were so completely new to me. Shockinglydifferent. My first little while in Morocco I would only order the ‘safe’ foods that I was familiar with which was pretty much chicken and bread. I would beg my friends to go to Pizza Hut with me (yes there is pizza hut in Morocco!). Everything was different, the ketchup tasted different, the bread was cut differently, the meat was different and often bled when it was cooked (which I later found out was due to Halal methods). I would often dine at a french restaurant in the heart of Casablanca called Chez Paul, it boasts modern architecture and french cuisine and pastries which at the time was a lot more welcoming to me than Moroccan food. 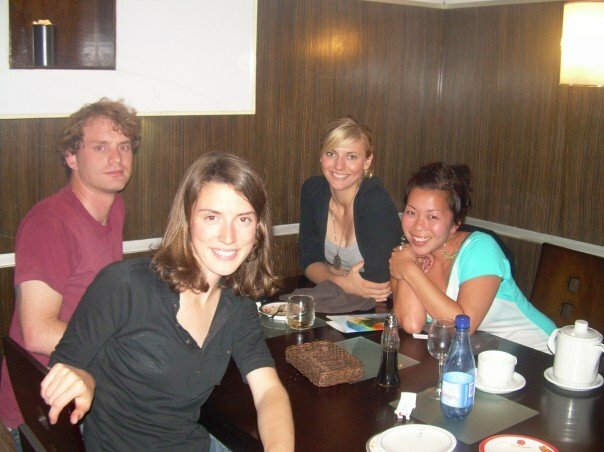 Japanese Dinner with friends at Matsuri in Casablanca, another more familiar style food. New friends that I had made in Casablanca would often invite me over for lunch. 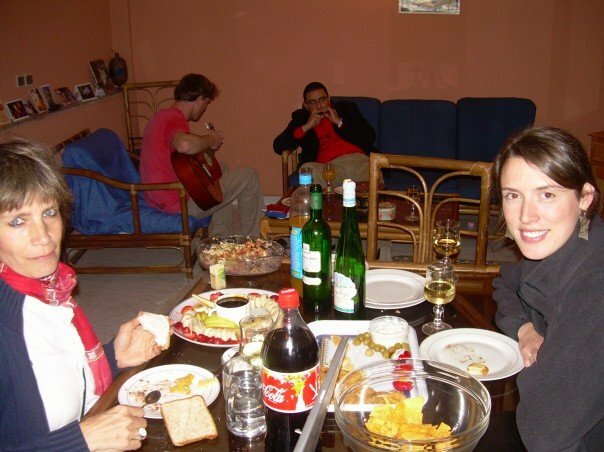 The food was usually Moroccan and mainly prepared by their maids, which is very common in Morocco (even I had a maid!). Slowly but surely I was exposed to more and more Moroccan cuisine and began to develop a taste and appreciation for it. 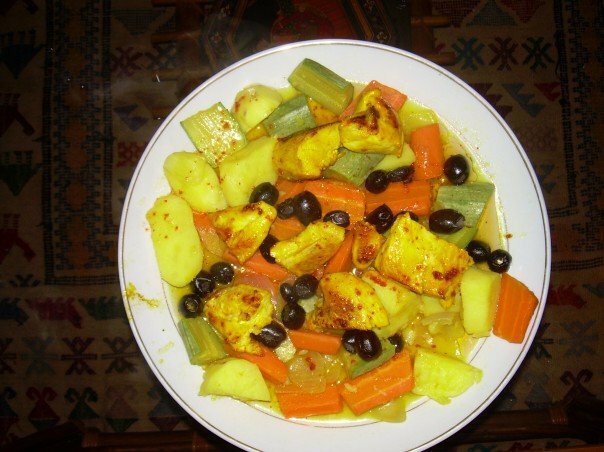 All ingredients are fresh and there are no preservatives used in Moroccan dishes. Before long I was becoming more adventurous is my dining. restaurant and order couscous and dine for free. I had some interesting experiences on couscous Fridays. 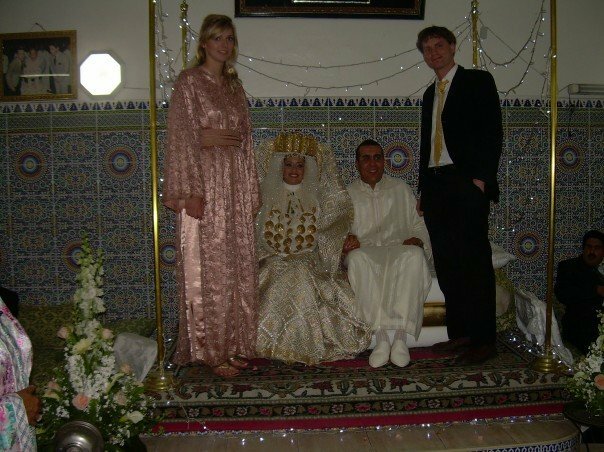 A girlfriend of mine who was from Britain but had been living in Casablanca for a few years had invited me to tag along for lunch with her and her Moroccan boyfriend and his pals. We entered into a restaurant, went through a back door and headed underground. There in a dimly lit basement of a restaurant we dined on couscous and drank beer. Alcohol, especially for women is technically frowned upon and often times considered illegal to consume during Arabic holidays so I suppose that’s why had to be so sneaky about it and hang out in the restaurant secret dining room. One of my favourite time eating couscous was before I left to head back home to Canada. My friend Mehdi had brought me to his families riad. 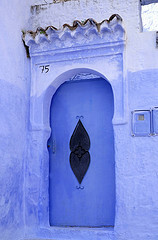 A riad is an architecturally beautiful place, much like a hotel except for family members only. In Morocco it is typical (not so much anymore) for a man to have more than one wife and Mehdi’s mother used to live in one of these rooms in the riad. 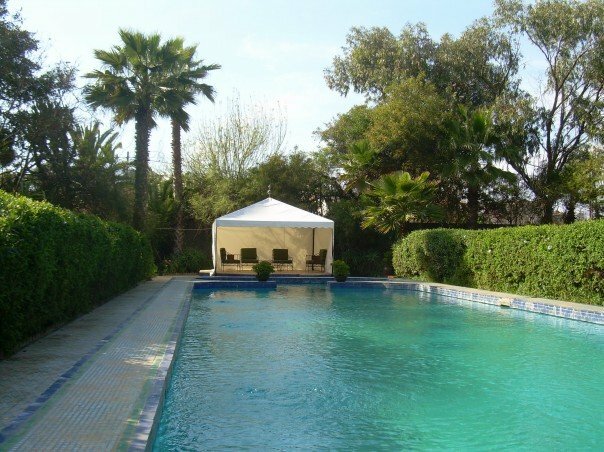 As the riad wasn’t used anymore it sits in the middle of a medina and its barely used. Mehdi had his lovely maids prepare a massive plate of couscous for us as I admired the hand layed tiles covering every inch of the riad. It was the best couscous I have ever had. 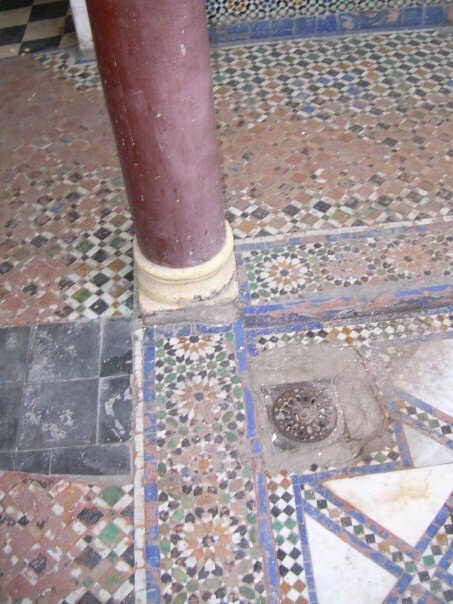 The old and beautiful hand cut and placed tile inside the riad. Mehdi actually served as my guide and good friend throughout my time in Morocco. He’s a talented Moroccan journalist and former editor of Maroc Soir newspaper. Lucky for me his work allowed him plenty of time to show me around the city. One of the tastiest and most unique meals I have ever had was courtesy of Mehdi. Mehdi and I in the medina outside his families riad. One afternoon with a group of friends Mehdi guided us into one of the cities off the beaten track street markets. There he showed us the black magic section of the market which had caged owls, rare cheetah skins and caged baby turtles. It was very shocking for me to see and I desperately wanted to let all the animals free out of their cages but I had to respect their customs and hesitantly move on. Mehdi took us to the butcher area of the market. Giant slabs of meat hanging in the open market were abound. A gigantic camel head with his neck skinned was hanging beside me and I nearly walked into it. Mehdi took us to his favourite butcher and ordered us what I believe were cuts of lamb. I thought we were just going to order it and bring it back to cook for dinner, but I was wrong. Mehdi explained that we order whatever cut of meat we want, the butcher cuts it fresh, uses his seasonings, cook it up for us there and voila. This was different, as I had never gotten meat from a butcher who cooked it for me right then and there. When the freshly cooked meat arrived I wasn’t sure what to expect as I took a bite. It was cooked to perfection. The meat was so unbelievably tasty like nothing I had ever had before, the seasonings were hands down the best mixture of spices I’ve ever had! I wish I could duplicate this recipe myself and many other Moroccan recipes that I had while I there but alas I didn’t bring any Moroccan spices back to Canada with me. I did however follow the recipe for a few Moroccan meals that I saw my housekeepers make which somehow turned out surprisingly good as I had never cooked Moroccan food before. 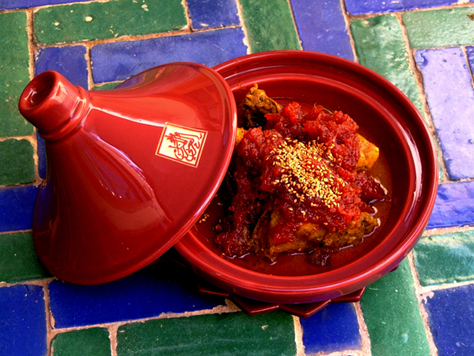 A tagine styled dish served with a fresh baguette from the boulangerie down the street. I wish I brought this blend of spices back to Canada with me. Mehdi wasn’t my only ‘tour guide’ to Moroccan cuisine in Casablanca though. 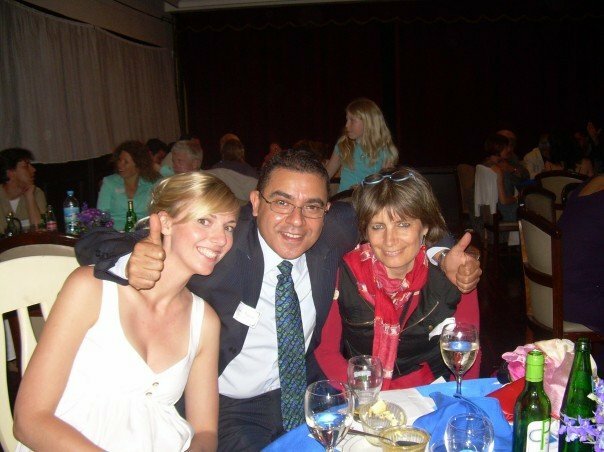 I met my dear friend Ingrid Pullar while working at the clinic. 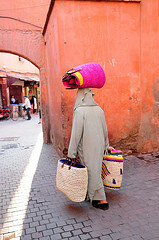 She’s a Swedish born photographer who’s been living Morocco for the past 30 or so years. She is one of the top photographers in Morocco and her work as appeared in the New York Times, in many magazines and ads, and she’s even taken a few modeling portfolio shots of me back in the day(you can creep on her website to hunt down a few of those photos). Ingrid & I working on a photoshoot overlooking the Casablanca rooftops. Ingrid would often invite me to her house which has a pretty backyard patio area where we would eat the freshest and healthiest Moroccan foods while her little pet turtle would wander around the backyard. Me having the craziest hair day ever, petting Ingrid's pet turtle that freely walks around her place. Ingrid also is the person who introduced me to Moroccan ‘fast food’ one day after horse back riding in the hillsides of Dar Bouza we pulled over on the side of the road where a mother and son had a stand set up. 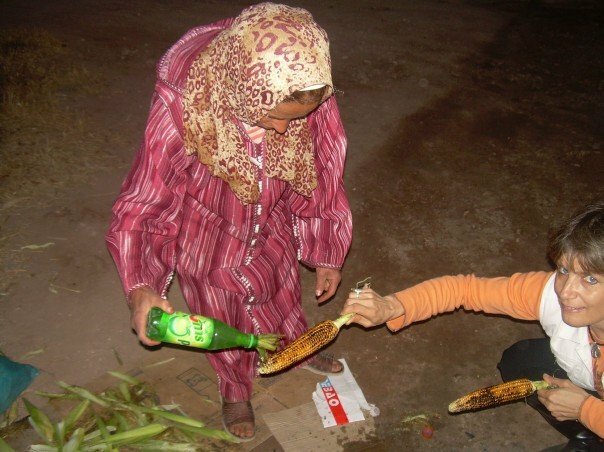 They were selling fresh corn on the cob with a water bottle mixture that she would pour on top of your corn cob for toppings. Like manly Moroccan dishes, I’m not exactly sure what the spices are but it was delicious. 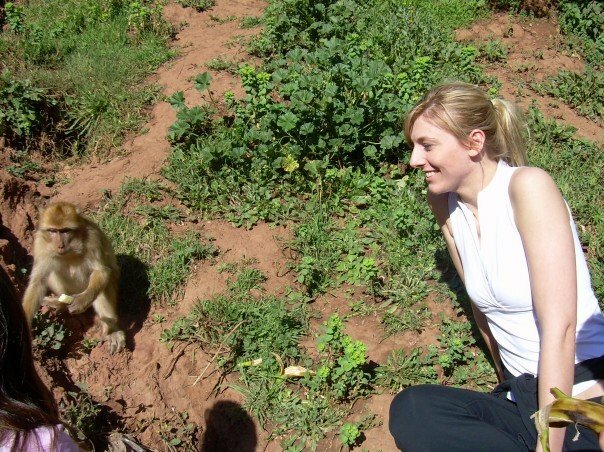 Ingrid getting some Moroccan fast food. 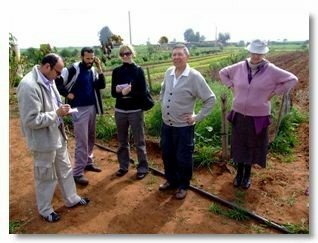 Being the super photographer that Ingrid is and me with my aspiring journalist hopes, Ingrid invited me so the first and only at the time completely organic farm in Morocco. We ventured out to the farms lands with a couple from South Africa. The farmer and his wife toured us around the farm while their little boy played in the fields. We left the farm that day with a plethora of fresh organic veggies. It was so great to see concious farming methods being practiced in a developing country. Those people and experiences are a huge reason why I miss Morocco so much. I’ve tried to duplicate the recipes back home in Canada myself but it just doesn’t seem to go right. I unfortunately didn’t bring any of the delicious Moroccan spices back to Canada with me for fear that the airport might give me a hard time for having a suitcase full of powdered substance flying back from an Arab country.For my birthday few years ago Matt and I went out for a taste of Moroccan food at a now closed restaurant in gastown called Le Marrakech. 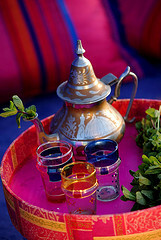 We dined on couscous, chicken tagine and finished of the meal off with a fresh and very sweet pot of Moroccan mint tea. I miss the unique flavours of Moroccan food and sincerely hope and pray that I can go back to Morocco again someday soon. Until then I’ll just have to hope that my Moroccan friends will send me some spices from afar. 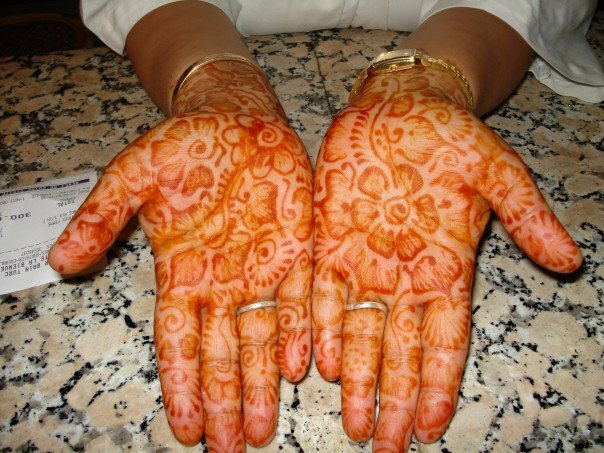 A woman's hands covered in beautiful henna. Buying olives in the medina. 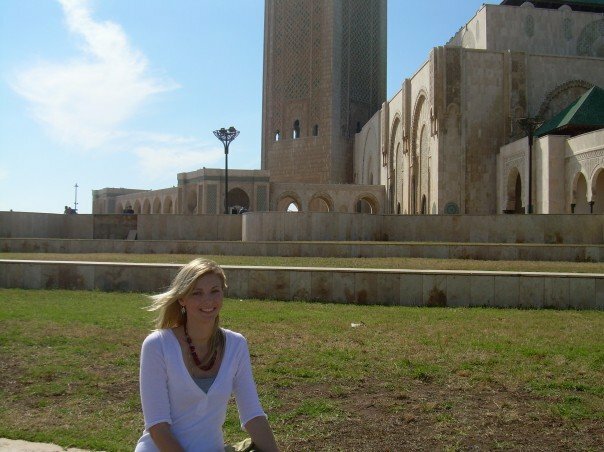 Outside of the Hassan II Mosque in Casablanca.